Attorneys for the city of New Orleans and the owners of Santa Fe Tapas have reached the “1-yard line” in their negotations over new operating conditions governing the restaurant’s alcohol license, with the issue of security guards the last item that needs to be resolved, they said this week. 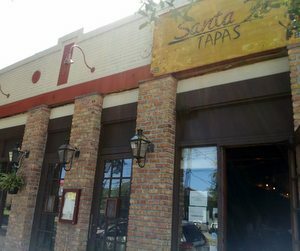 Santa Fe Tapas sits on the opposite St. Charles Avenue corner from the former Daiquiri Place Cafe, which lost its alcohol license late last year and closed after the large, unruly crowds it drew were deemed a nuisance by the city’s Alcohol Beverage Control board. The owner of Santa Fe Tapas actually appeared as a witness against the Daiquiri Place Cafe in that hearing, but at some point after it closed, the crowds started showing up at Santa Fe Tapas and the city filed nuisance charges against the restaurant in June. “There’s nothing like filing a petition before the ABO board for people to start acting a little bit more appropriately in relation to their permits,” said city attorney Dan McNamara in a hearing Tuesday. Those overflow crowds were a temporary problem, Santa Fe attorney David Halpern told the alcohol-board members. Santa Fe Tapas has since changed its policies and the crowds have been gone for months, he said, noting that he had personally gone by the establishment several weekend evenings to find the place quiet. The crowds were a momentary “aberration,” he said, and the owners of Santa Fe Tapas have decided that their best business plan is simply to operate as a restaurant. “As far as I know, a lot of the characteristics that created a bar-like environment have been eliminated,” Halpern said. McNamara and Halpern differed slightly on their descriptions of the problem at Santa Fe. Halpern characterized it as former patrons of the Daiquiri Place who moved over to Santa Fe after their previous hangout closed, catching Santa Fe somewhat by surprise. McNamara said that the corner actually quieted down significantly for several months after Daiquiri Place closed, then suddenly started drawing crowds again prior to the filing of the charges this summer. Regardless of the difference in opinion, however, the attorneys have been hammering out a new set of rules for Santa Fe Tapas, and the last item to figure out is how much security the restaurant should be required to provide to keep the crowds down. Halpern said that the crowds have abated to the point that it’s unclear that security is needed. McNamara countered that he would prefer to impose the requirement of security now, and lift it if a set period of time passes without further problems.